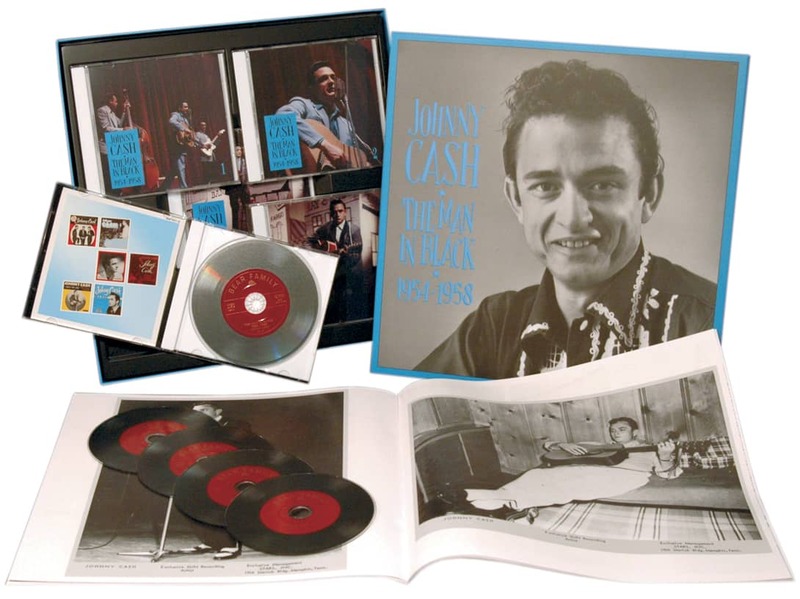 5-CD boxed set (LP-size) with 36-page book, 138 tracks. Playing time approx. 330 mns. 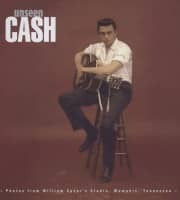 It has been the most remarkable career in modern country music. 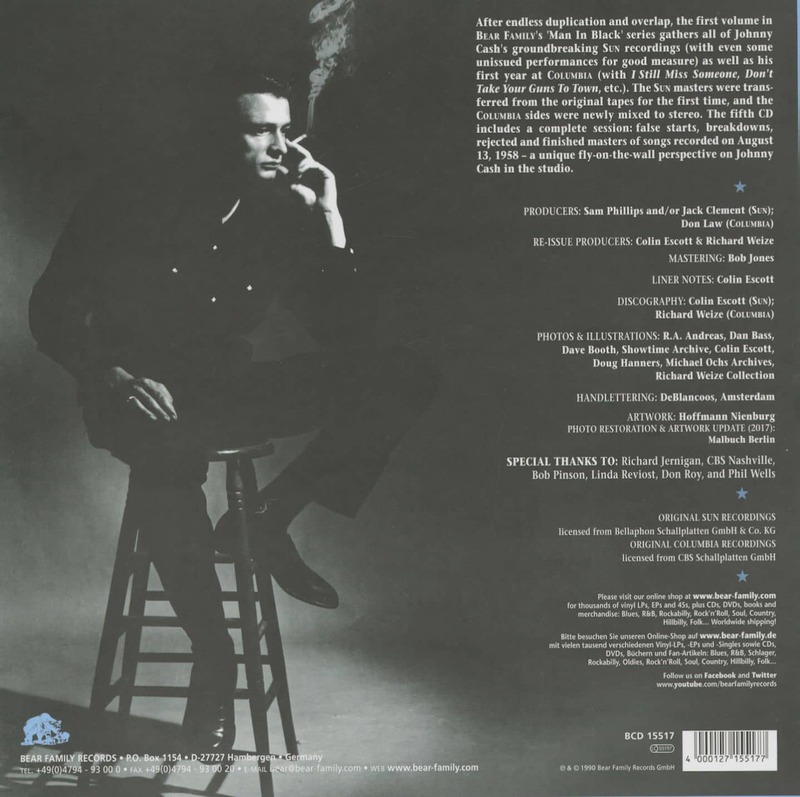 'Nobody But Nobody More Original Than Johnny Cash' was the slogan they coined in the '60s, and it was nothing less than the truth. Our retrospective (1954-1958) starts with the Sun recordings. 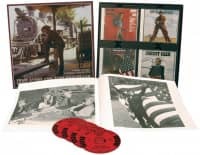 They are on countless compilations - endlessly duplicated and overdubbed - but here, they're complete, undubbed and in premium sound quality for the first time. There are even some unissued performances. 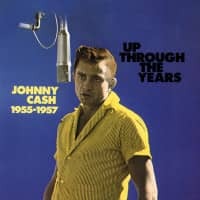 The set is rounded out with Johnny's first recordings for Columbia including I Still Miss Someone and Don't Take Your Guns To Town. 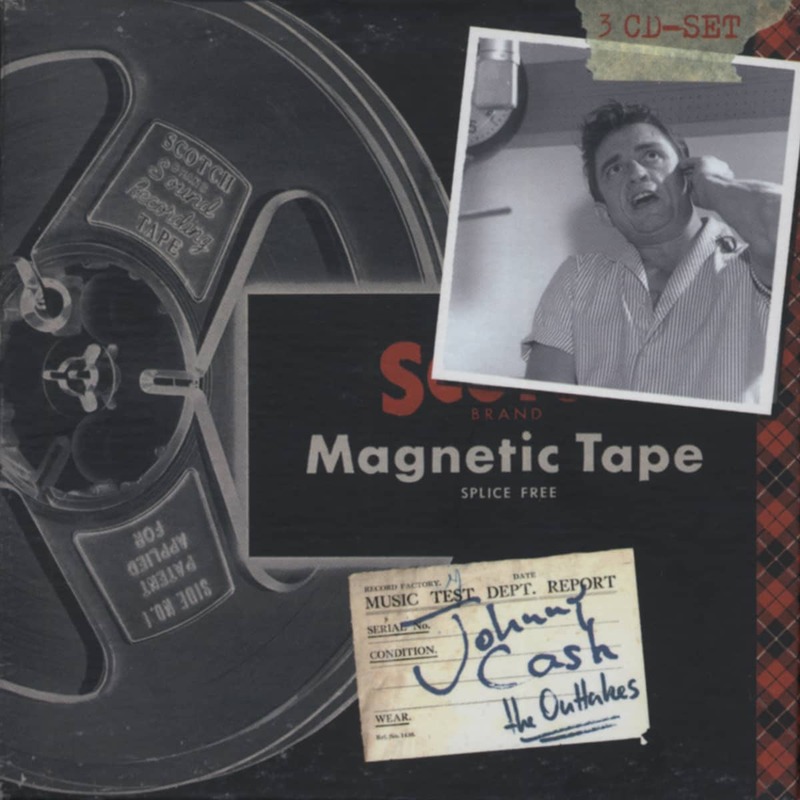 The fifth CD is a complete Columbia session (false starts, chatter and out-takes). 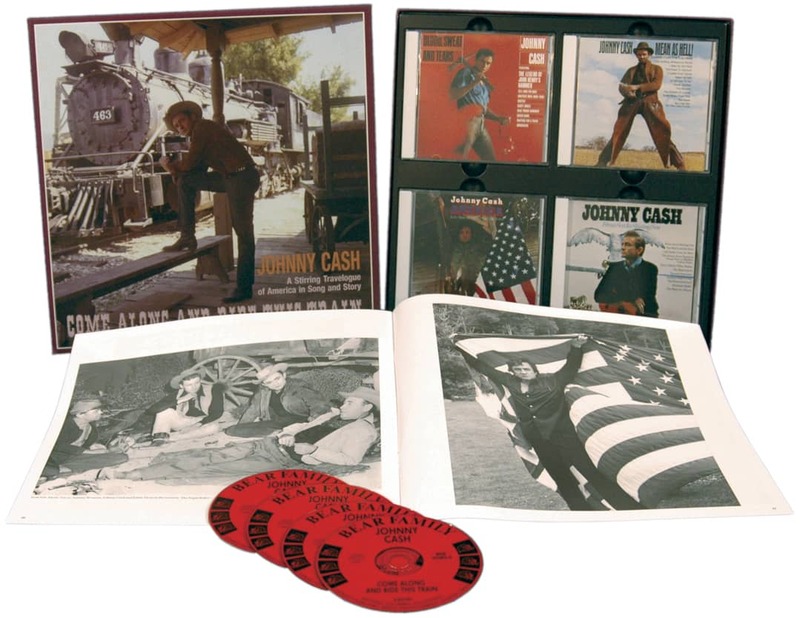 - (BEAR FAMILY) 5-CD Box-Set (LP-size) 138 tracks 1954-59 & 36 page booklet. 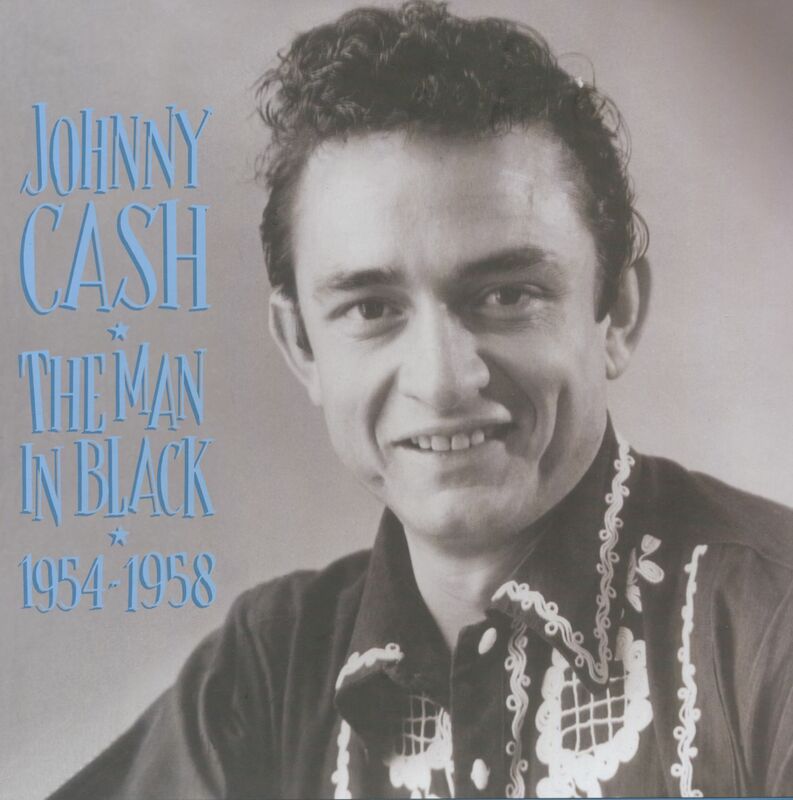 Customer evaluation for "Man In Black 1954-58 Vol.1 (5-CD)"
ZUERST EIN GROSSES KOMPLIMENT,DIE DREI GROSSEN BOXEN MAN IN BLACK SIND SOWAS VON GUT.SUPERB SEHR GUTER TON. DER SERVICE VON BEAR FAMILY IST LOBENSWERT. WEITER SO BEAR FAMILY RECORDS!! !